* NECK TYPE: --- Please Select --- SOLID MAPLE C PROFILE, 7.25" RADIUS, 6230 FRETS. MAPLE WITH INDIAN ROSEWOOD FRETBOARD C PROFILE, 7.25" RADIUS, 6230 FRETS. Getting your own custom shop vintage classic is now just that easy! 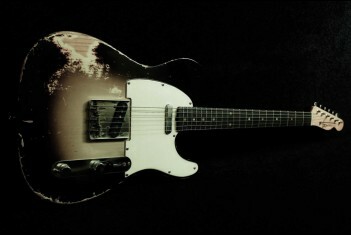 Here you can design a custom order RebelRelic S-series or T-series to your specs. Starting from the body wood type and neck. You can choose your ideal basis for a wide selection of classic vintage colors and hardware to create your dream vintage classic aged to the degree of your choice. Feel free to upload photo examples as a reference for color, tints, and aging. Add any written requests in the comments box. *Please allow eight to ten weeks for your order.